Summer Watershed Restoration Intern: Download the PDF for full job descrption & application. The Quivira Coalition seeks a 2013 summer intern who is passionate about land health to assist with a variety of tasks linked to our Comanche Creek Watershed Restoration project. The intern will work under the direct supervision of Mollie Walton, Ph.D., Quivira’s Land & Water Program Director. This is an amazing opportunity and involves projects that will require both field work and office work. Interested? Take a look at the application – pdf attached in this email – and apply as soon as possible. Dr. Walton will be filling this position as soon as possible. 2. FULL TIME SUMMER FARMING INTERNSHIP POSITION AVAILABLE (POJOAQUE, NM): Small market gardener (approximately 15 miles north of Santa Fe) in a beautiful setting along the Nambe River. Although not a certified organic grower, my farming practices are all organically based, are pesticide free & sustainably anchored. As a Los Alamos Farmers’ Market vendor & small CSA, I grow a wide assortment of veggies from baby salad greens, spinach, arugula, annual & perennial herbs, kale, chard, carrots, broccoli, cabbage, beets to heirloom tomatoes, Japanese eggplant, cukes, squash, onions, leeks, garlic & lots of raspberries.Room & Board and a small weekly stipend in exchange for help on my farm: April-September 2013. Work involves all aspects of small market gardening, including: small greenhouse production, field prep, setting up & maintaining drip irrigation systems, transplanting, direct seeding, weeding, harvesting & cleaning & selling produce at a weekly market & CSA distribution, composting and beekeeping. We are looking for the right mature young adult(s). Please send your resume and cover letter to Gurujiwan S. Khalsa in care of khalsaenterprises@hotmail.com or letter to Gurujiwan S Khalsa, 11 Walnut Drive, Espanola, NM 87532. You can also check us out on Facebook at Khalsa Greenhouses. A couple of things to address in your cover letter: What are some of the things you would like to learn and can share? What motivates you and what are your core values? Why do you want to be a part of the family farm movement? Where would you like to be in five years? Would you be willing to participate in shared meal prep? When are you available? 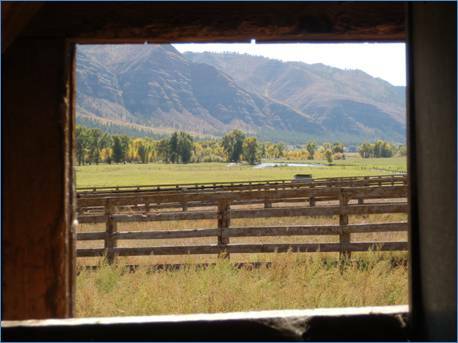 5.The CHICO BASIN RANCH (Colorado Springs, CO) has a wonderful internship program. They accept several interns at any given time, although you may need to contact them well ahead of your ideal start-date to insure a spot in their program. They require a minimum 3 month commitment. For more information on the Chico, and contact information, visit their website:http://www.chicobasinranch.com/. 6. The SPUR LAKE CATTLE COMPANY (Springerville, AZ) regularly seeks interns and ranch hands who are experienced on horseback to help them out during the spring and summer seasons. They are located in eastern Arizona, and work on lands in both western New Mexico and eastern Arizona. For more information on Spur Lake, and for contact information, visit their website:http://www.spurlake.com/Spur_Lake_Cattle_Company/Home.html.